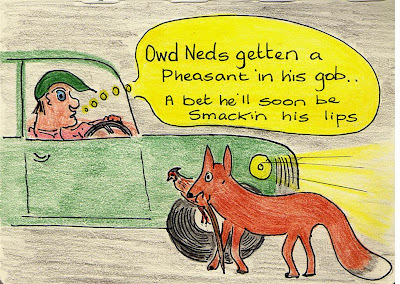 I Love Arnside & Silverdale: Owd Ned grabbed a feasant! "This is a true story of what happened this morning"
Tu carnt all burds thas moving. Wat ar ti doing, what art ti lucking fur! So a towd him, I wer here cowntin Swallers. 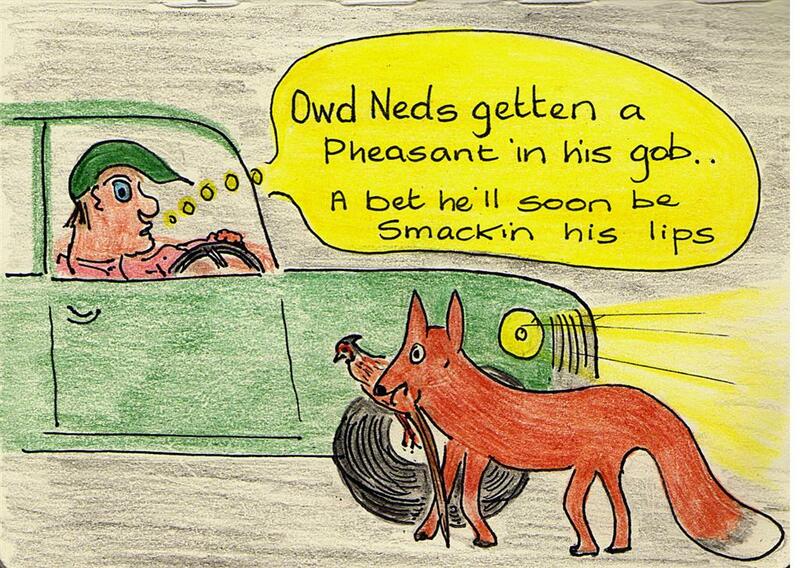 Ye a pheasant in his gob it wer. “A bet he’ll be smacking his lips na”…..